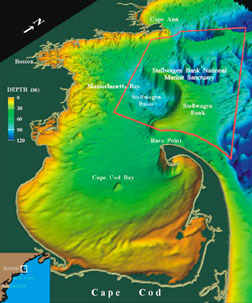 Stellwagen Bank National Marine Sanctuary map. 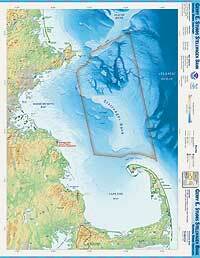 to turn bathymetric maps into a three-dimensional image. 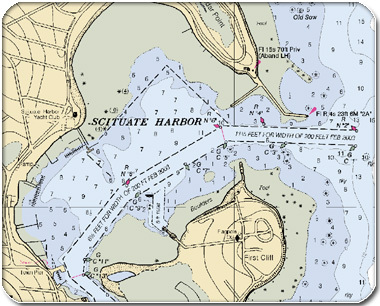 Sanctuary map showing areas that are less than 130 feet in depth. 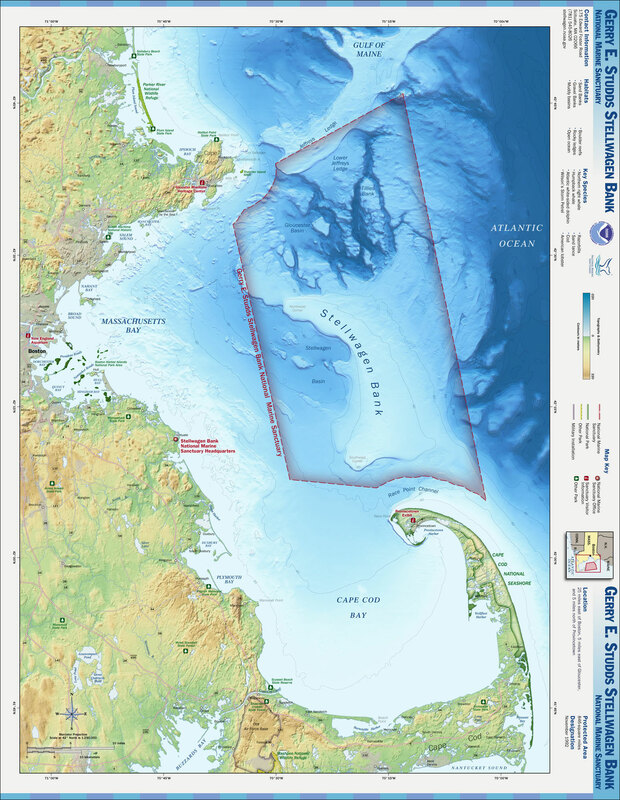 The Office of Coast Survey (OCS) manages the NOAA nautical charting and nautical data collection and information programs.